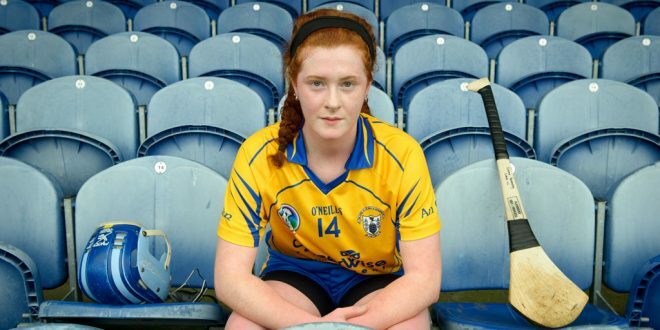 Team captain Emma Kennedy at a training session for the Clare minor camogie team ahead of their All-Ireland final. Photograph by John Kelly. 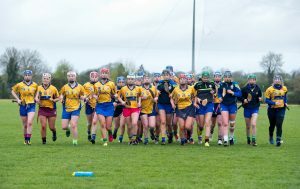 THE fact that Clare beat Galway in the opening round of the All-Ireland Minor A Camogie Championship back in February will “count for nothing” when they face each other in Saturday’s All-Ireland final, according to manager Dervilla Moloney. 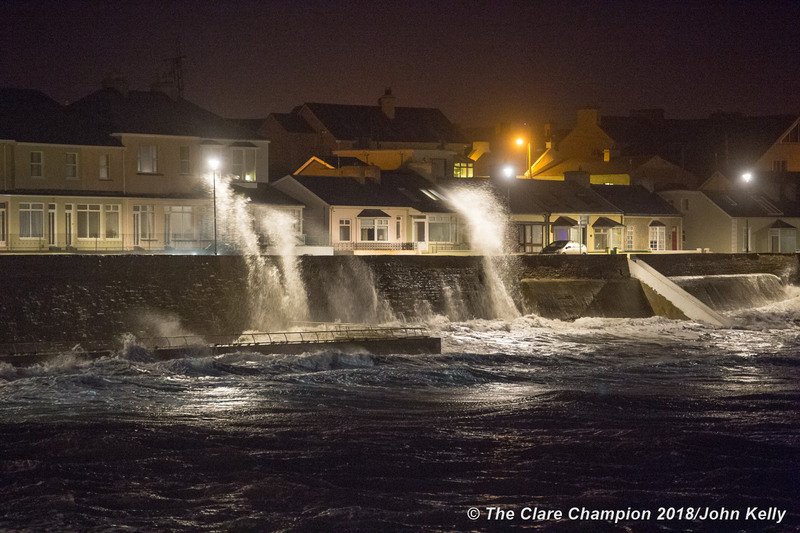 Speaking to The Clare Champion, after watching her charges complete a training session, she stressed “that win means nothing now”. She confirmed there is a clear bill of health and “all are raring to go and ready for action”. Players warm up at a training session for the Clare minor camogie team in Sixmilebridge. Photograph by John Kelly. “It’s a big day for Clare camogie and we are hoping that there will be a big crowd to support the team. The girls deserve it. They are a group with great skill and great movement on the field. They are fine hurlers. This is the one that will count, the one that has led to all the hard work since last October,” she said. Moloney has been involved with this group since they competed at U-13. “They were recognised as a talented group from the word go. Their commitment and their hunger for learning has been evident throughout the five years,” she explained. At U-14 level Clare lost out by a point to Cork in the final. At U-16 level, they won the A and B Munster titles before losing out in the All-Ireland series on scoring difference. Regarding the Galway challenge, she said “they know Clare has never won this particular title and there is a hunger there to change that. They are a very grounded bunch of girls who want to deliver on the field”. She is particularly pleased that “players from all ages have been supporting this team. It’s great to see the younger players and the senior county players supporting the team. 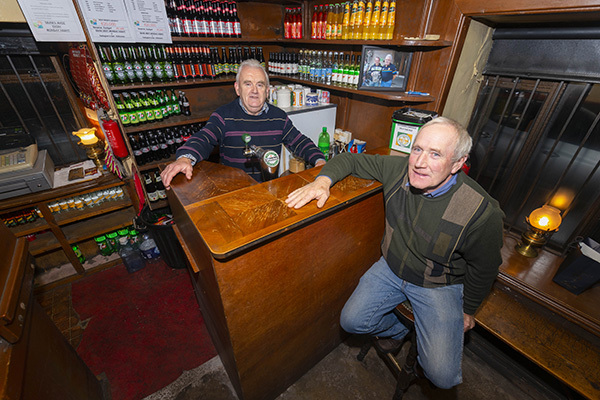 We have had great support from all, including club players and members”. Moloney is joined in the backroom team by Eugene Foudy (trainer and selector), Michelle McMahon from Éire Óg (selector), Newmarket’s Stephen Cusack (strength and conditioning) and Darren Hayes (trainer and selector) and Cathal O’Sullivan from St Joseph’s (physio). The team is captained by Emma Kennedy from Sixmilebridge, who fills the centre-back position. Others who fill key positions are goalkeeper Ciara McCarthy, Alannah Ryan, Ciara Doyle, Laura Foley and Áine O’Loughlin. Tulla’s Sinéad Conlon, who impressed when introduced in the semi-final win over Dublin, will be pressing strongly for a place in the starting line-up this week. Her introduction in the semi-final came after she had fought her way back to fitness from a serious hand injury. The team will be selected from the following panel: Ciara McCarthy Mary Enright (Newmarket); Laoise Ryan, Sinéad Power, Chloe McNamara, Róisín Clancy (Inagh-Kilnamona); Alannah Ryan (Kilkishen); Ciara Doyle, Amy Barrett, Aoife Power (Scariff-Ogonnelloe); Ciara Grogan (Clooney-Quin); Emma Kennedy, Olivia Phelan, Eve White (Sixmilebridge); Louise Egan, Laura Foley, Áine O’Loughlin, Róisín Powell, (Truagh-Clonlara); Laura McGrath, Evelyn Duggan, Eileen Daly (Feakle); Brídín Dinan, Sinéad Conlon (Tulla); Hannah Dinan (Clarecastle); Kate Dillon, Karen McMahon (St Joseph’s); Saoirse Warren (Éire Óg); Niamh O’Brien (Bodyke) and Shauna Canny (Killanena). The winners will be presented with the Sighle Nic an Ultaigh Cup, a trophy named after the Warrenpoint, County Down native who gave a livetime of service to the camogie association. Clare have contested the final of this championship on three occasions. They lost to Kilkenny in 2008 (3-15 to 1-7) in Athy. Clare had qualified following a 4-15 to 0-9 win over Tipperary, on a day when Carina Roseingrave scored three goals, while Shonagh Enright landed 11 points. A year later, Semple Stadium was the venue but Kilkenny won again, this time by 5-10 to 3-8. Clare were back in the final for a third successive year in 2010. This time their opponents were Galway, who had dethroned champions Kilkenny in the semi-final. The game ended in a 1-7 each draw in Nenagh, with the replay going to Thurles, where Galway emerged with a four point win, 2-12 to 2-8. 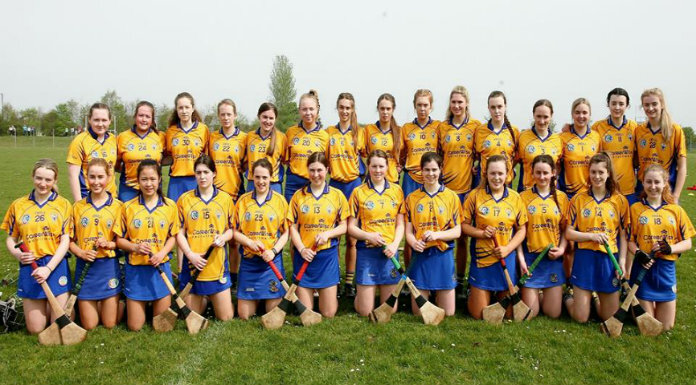 Clare and Galway meet in the All-Ireland minor camogie final in Nenagh on Saturday.